Rachel Wheeler is the group general counsel and member of GAM Holding AG’s Group Management Board. Prior to joining GAM in 2018, she worked as general counsel at Aviva Investors for four years and at USS Investment Management Limited for over two years. Prior to that, she was Head of Legal, international asset management at BNY Mellon for six years. She started her career in 1994 at Simmons & Simmons, where she qualified as a solicitor. 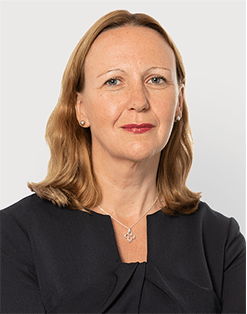 Rachel holds a postgraduate diploma in law and legal practice from the College of Law, Guildford and a BA in history from the University of Wales. Rachel is a member of the Investment Association Trade and Investment Committee. She was born in 1969 and is a UK citizen.